On Sunday afternoon, October 15, 1961, a group of musicians gathered at RCA’s Studio B in Nashville to prepare for an Elvis Presley recording session scheduled for later that evening. On scene were Scotty Moore, D.J. Fontana, Bob Moore, Floyd Cramer, Buddy Harman, Boots Randolph, and vocalists Millie Kirkham and the Jordanaires. However, one Presley session regular, perhaps the most accomplished musician of them all, was not there … and no one was expecting him. 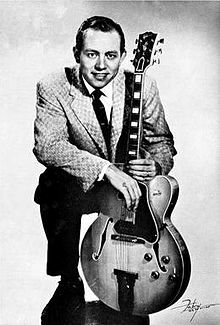 Since 1958, Hank Garland had played lead guitar at most of Presley’s recording sessions, but injuries suffered in an automobile accident in September 1961 stole away Hank Garland’s extraordinary ability to play the guitar. He lived for 40 more years but never returned to work in the Nashville studios where he had been so prominent as a young man. 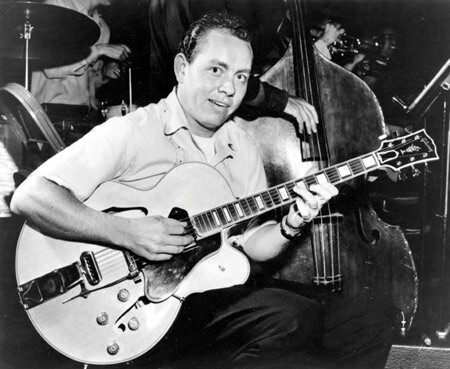 Born in Cowpens, South Carolina, on November 11, 1930, young Hank was playing the guitar by the age of 6. At 12 he was playing on local radio programs. Two years later, he was “discovered” at a music store in Spartanburg by Grand Ole Opry member Paul Howard. Child labor laws kept Hank from working full time, so he had to wait until he turned 16 in November 1946 before officially joining Howard’s “Cotton Pickers” band in Nashville. In 1948 he had a hit record with his recording of “Sugarfoot Rag,” which earned him his “Sugarfoot” nickname. By the early fifties, he became a fixture in Nashville’s country music recording sessions. 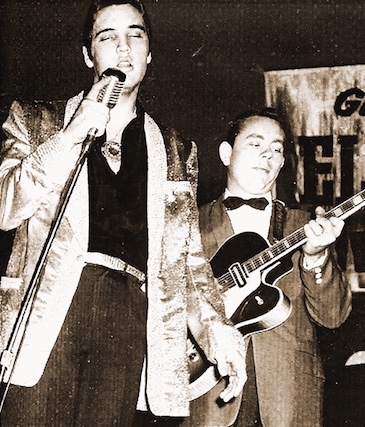 In a Hank Garland bio published in the January 1981 issue of Guitar Player magazine, Rich Kienzie explained how Elvis Presley’s emergence changed the Nashville scene and the course of Garland’s career. Elvis Presley’s first known encounter with Hank Garland came on October 31, 1954, when Elvis attended a country music show at Ellis Auditorium in Memphis. Hank was on the bill, along with Minnie Pearl, Eddy Arnold, and the Jordanaires. Presley biographer Peter Guralnick describes Elvis wandering around backstage after the show, shaking hands with the country performers. It wasn’t until three years later, though, that Garland and Presley first worked together. After Scotty Moore and Bill Black quit Elvis’s band in September 1957, Hank and bass player Chuck Wigington were hired to back Elvis for his show at the Tupelo Fairgrounds on September 27. The two gathered with drummer D.J. Fontana and the Jordanaires for a few days of rehearsal at Graceland prior to the show in Tupelo. Although Scotty and Bill were brought back for the remainder of Presley’s 1957 personal appearances and his pre-induction recording sessions in 1958, neither musician was invited to Elvis’s June 10, 1958, Nashville session. Instead, Hank and Bob Moore were brought in to do the guitar and bass work on what would be Presley’s last recording session until his army release in March 1960. 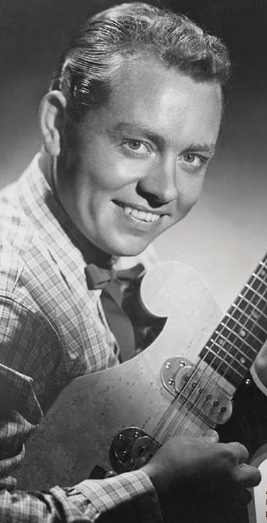 The session produced five masters, all of which featured Garland’s energetic guitar solos. RCA released four of them as singles to keep Presley alive in the pop music scene until his discharge nearly two years later. “I Got Stung” reached #8 on Billboard’s Hot 100 in November 1958. As a two-sided hit, “(Now and Then There’s) A Fool Such As I” and “I Need Your Love Tonight” climbed the chart to #2 and #4 respectively in the spring of 1959. “A Big Hunk O’ Love” topped the Hot 100 for two weeks in August 1959. Scotty Moore, who in his biography referred to Hank Garland as one of his “heroes,” was brought back into the studio for Presley’s post-army sessions, but it was obvious that Garland was to be considered the lead guitarist on Elvis’s sessions going forward. After Presley’s return to civilian life in 1960, two recording sessions in March and April produced 18 masters. A dozen of them filled “Elvis Is Back,” a new LP, while the other six were issued by RCA as singles in 1960. As the A-sides of those singles, “Stuck On You,” “It’s Now or Never,” and “Are You Lonesome Tonight” all had long runs at the top of Billboard’s Hot 100 chart. In October 1960, Hank displayed his versatility during another Presley recording session that produced 12 spiritual songs later included in Elvis’s first gospel album, “His Hand In Mine.” Presley’s fifth consecutive #1 single, “Surrender,” also came out of that session. Another one of Elvis’s most well known songs, “Crying in the Chapel,” was also recorded then. March 1961 was a busy month for Elvis and Hank. It began at Studio B in Nashville with a two-day session to produce material for a new Presley album and single. Twelve songs were recorded, with all but one of them later released on Elvis’s “Something for Everybody” LP. “Gently,” Jorgensen noted, was a number with a folk-like structure that “gave Hank Garland a chance to demonstrate some truly delicate picking.” The single released from the session, “I Feel So Bad,” became a top 5 record. Just a week later, on March 21, 1961, Elvis, Hank, and the rest of the studio musicians were out in Hollywood to make the soundtrack recordings for Presley’s upcoming Blue Hawaii film. The highlight among the 15 tracks laid down was “Can’t Help Falling in Love,” which spent six weeks in the top 5 on the Billboard chart in early 1962. Above: Guitarists Scotty Moore (left) and Hank Garland, along with drummer D.J. Fontana and steel guitarist Alvino Rey, at an Elvis Presley recording session. Immediately after finishing the Blue Hawaii soundtrack on March 23, the session crew flew out to Honolulu to back Elvis on his benefit concert for the U.S.S. Arizona Memorial at Pearl Harbor’s Bloch Arena. A highlight on the informal recording of the 15-song concert is Hank’s energetic guitar work on some of the numbers he had recorded with Elvis in Nashville over the past couple of years. They included “A Fool Such As I,” “Such a Night,” “Reconsider Baby,” “I Need Your Love Tonight,” and “Swing Down Sweet Chariot.” In his Presley biography, Peter Guralnick describes the energy on stage that evening. Hank’s guitar work on “Little Sister” was arguably his most inventive contribution to any Presley recording. Jorgensen set the scene in the studio. In RCA’s Nashville Studio B, Hank Garland worked his last Elvis Presley recording session the evening of July 2, 1961. Between 7 and 10 p.m., six songs were recorded for the soundtrack of Elvis’s ninth movie, Follow That Dream. When Hank left the studio that evening, everyone expected he would be back for Presley's next session, scheduled for October. But it was not to be. Several sources, including Hank Garland’s 2004 obituary in Billboard, assert that his career-ending car crash occurred while he was working on the soundtrack for Follow That Dream. Actually, the tragic event happened on September 8, 1961, over two months after the Follow That Dream session took place. 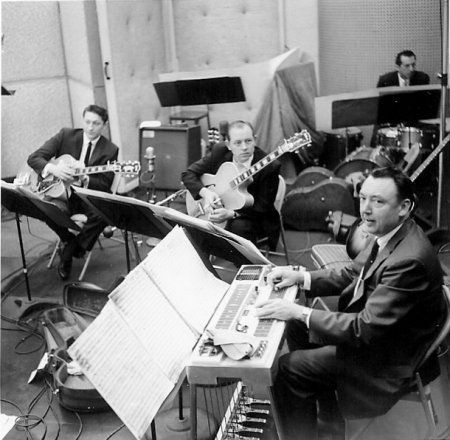 When the musicians gathered in the studio for Elvis’s October 1961 Nashville session, Scotty Moore moved up to the lead guitar position that Hank had held since Elvis returned from the army. According to Jorgensen, a “less versatile” Jerry Kennedy was brought in as the second guitar. Although “Good Luck Charm,” another #1 single for Elvis, came out of that session, Jorgensen explained that Hank Garland’s loss created a serious problem heading into 1962. Even years later in the 1960s, unreleased Elvis recordings featuring Hank Garland’s guitar work made an impression on Billboard’s pop chart—“Such a Night” and “Ain’t That Lovin’ You Baby” in 1964 and “Crying in the Chapel” in 1965. "Garland’s guitar and Presley’s style were a perfect fit at that point in their careers. Garland’s versatility and ability to work up song arrangements helped to bring him and Elvis Presley together in the studio."